Beryl (Be3Al2(Si6O18) is a relatively common mineral although it does contain the rare element beryllium. It is most well known however for its gem varieties: the pale green to blue aquamarine , the intense green emerald, the pale yellow to yellowish-orange heliodor and the pale pink to salmon colored morganite. Beryl also occurs as the colorless gem variety goshenite, and as the very rare red gem beryl variety bixbite. Emerald (Be3Al2Si6O18) occurs most often in mica schists of metamorphic-hydrothermal origin wherein the schists and other associated host rocks formed by chemical interaction between granitic rocks or pegmatites and the enclosing basic (silica-deficient) rocks. The chemical ingredients necessary for the formation of beryl frequently migrate from the granitic material into the adjoining basic rocks where the beryl crystallizes, changing the original basic rock composition through the process known as exometamorphism. 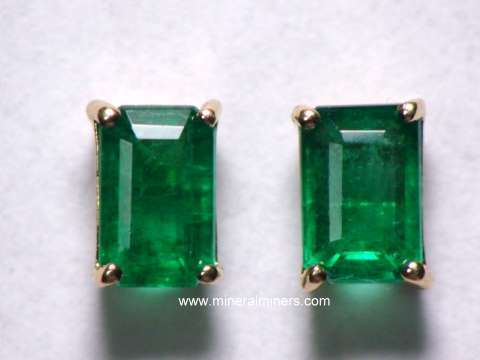 If the basic rocks contain the elements chromium or vanadium, small amounts of these elements may be incorporated into the beryl structure thereby giving the intense green color characteristic of the gem beryl variety emerald. Some of the world's most famous emerald deposits in Columbia are of hydrothermal origin where heated mineral bearing waters or gases from deep igneous sources later cooled and crystallized along fractures in carbonate rocks. Associated minerals in these deposits are dolomite, pyrite, calcite, quartz and albite. 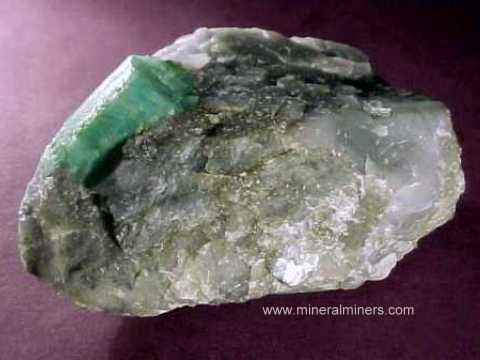 Because of emerald's relatively high hardness and specific gravity, it is sometimes found in eluvial and aluvial deposits. 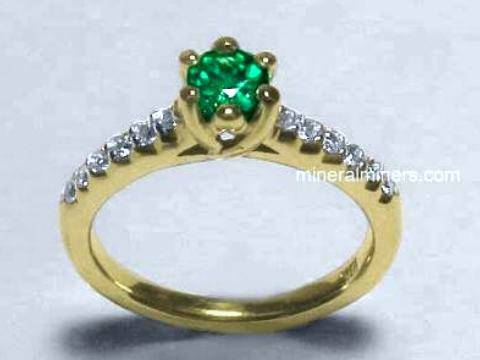 Emerald is usually recognized by its color, form, hardness and specific gravity. The name emerald is thought to be of the Ancient Greek word smaragdos meaning green stone which was originally applied to a variety of green colored minerals. 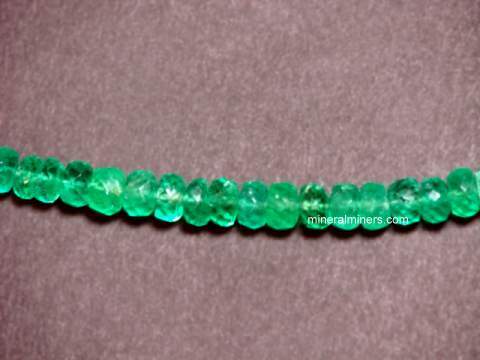 Emerald gemstones are widely used in jewelry. The most desired color is an intense grass green which is considered very valuable, even when visible inclusions are present in the faceted gem. Emerald gems are commonly enhanced with oils & resins, and they are generally considered to have undergone such treatments unless they are specifically stated as being untreated or unenhanced. 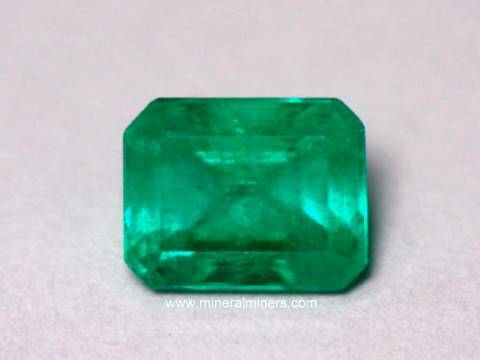 There is some controversy as to the definition of a 'true' emerald. Some say that a true emerald must have the impurity chromium, although some intense grass green colored 'emeralds' colored only by vanadium impurities look exactly the same as the 'real emeralds' with chromium color causing impurities. 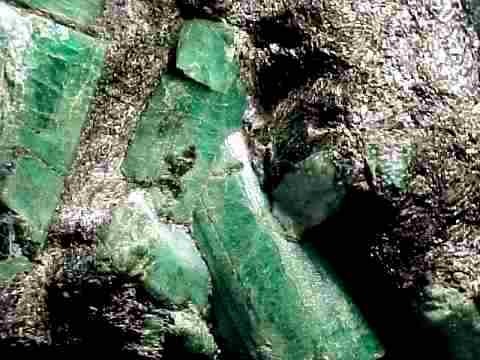 Emerald is one of the earliest known gem minerals to man. It has been assigned a very large number of occult properties over the last 6000 years. 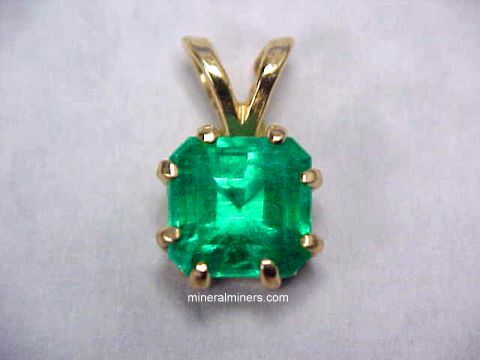 Some of these Traditional beliefs are that emerald is a symbol of immortality, and that wearing emerald jewelry is good for the eyes and eyesight, it cures snakebites, encourages and preserves chastity, cures dysentery, prevents epilepsy, promotes cleverness, courage, eloquence, honesty, prosperity and a great number of other beneficial qualities. In general it can be said that emerald is believed to protect against illnesses, physical danger and evil and that it can improve your mind and character. 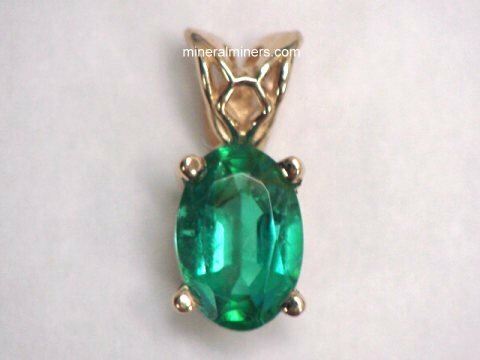 The astrological signs of emerald are Taurus, Gemini and Aries. 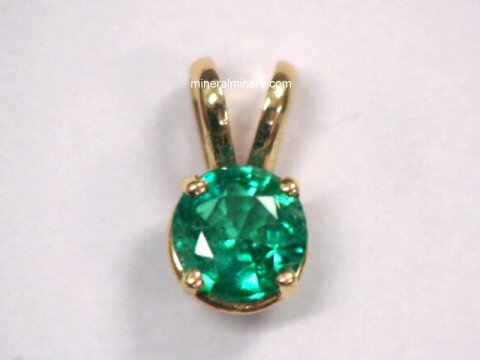 Emerald is the birthstone gift for the month of May. Wearing emerald jewelry or holding an emerald crystal is said to give confidence, peace and harmony and to enhance one's creativity and mental capacities. It is also said to instill and nurture mutual love and loyalty in marriage, and to ensure honesty and success in business dealings and other relationships. The use of emeralds is also said to help strengthen and heal the heart and kidneys, and to help remedy circulatory and neurological disorders and eye irritations, and to help eliminate free radicals from the body. This is the end of our Emerald Factsheet and Information page. © Copyright 1998, 1999, 2000, 2001, 2002, 2003, 2004, 2005, 2006, 2007, 2008, 2009, 2010, 2011, 2012, 2013, 2014, 2015, 2016, 2017 Gem & Mineral Miners, Inc.® All Rights Reserved.